India is a country that’s often termed as a subcontinent due to its sprawling mass of area stretching from plains to mountains to oceans. As a result of the same, the Indian subcontinent witnesses severely varying temperatures all over the country with temperatures ranging from -45 degree Celsius (minimum) to 30 degree Celsius (maximum) across different parts of the country. 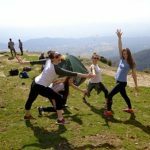 As it’s always advised, it is wise to make a thorough research about your respective volunteer destination before you get going with your packing, and certainly before you plan the list of things that you’ll need to buy for the trip. Even more so because India experiences extreme weathers in some of its regions which even disrupts travel activities in India over an ongoing period thus making it necessary to get a run through on the weather conditions before venturing out. 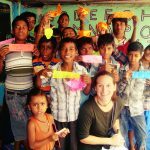 Volunteering India offers winter programs in the city of Delhi and Palampur for students opting for winter breaks as well as for people planning adventure trips and a gap year in India. The capital city located in Northern India witnesses very cold weather wherein sometimes temperatures even drop below freezing though never for a long period. And Palampur being situated in the lap of the Himalayas leaves no room for doubt about its chilly weather during the winters of India. 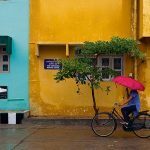 With hopes that India will slide on to a chilly weather soon with the month of December approaching, I have compiled a list of essentials that you must pack before leaving for India. Warm clothes or not, Flannels or not, with this listicle you’ll be able to make sound decisions when making a packing list and also save your energy and time. It is always better to opt for lightweight fabrics like cashmere and layer it up rather than carrying too many heavyweight jackets. If you plan on bringing some bulky pieces, which you should, you can put them on during your travels and keep your luggage roomy and light. Choose your luggage wisely according to your duration of travel or your term of volunteering (Short-term and Long-term). Make efficient use of your accessories. Cramming too much into your luggage will do you no good. Try packing in handbags and other accessories in neutral colors that’ll easily go with anything you wear. Don’t go overboard while packing medicines. You also don’t need to worry about visiting doctor for every minor complication like a mild rash, common cold or a runny nose. You can simply save the doctor’s fee and go directly to chemist shops, preferred ones would be Apollo, Frank Ross, etc. and get these medications without any hassle. Going ahead, the listicle is all about winter essentials and must pack things for your travels in India with the exceptions of absolute necessities like gadgets and toiletries which totally depends on your needs. A pair of light flannels and thin sweaters. Heavier jackets like leather ones, padded jackets, and woolen coats if you are planning on a trek to the Himalayas. Choose the one that can provide the most warmth in extreme conditions. Scarves and mufflers to protect your face and neck from chilly winds. A pair of thermal underwear along with some lightweight normal underwears. Loose long pants, leggings and a tight pair of jeans for bottom wear. Polo Tees, full sleeve t-shirts, cotton shirts for you’ll be needing lighter clothes during the daytime when the temperature tends to go higher. 1 or 2 knitwear blouses for special occasions. 1 or 2 skirts and dresses for times when it calls for. Comfortable yet moderately warm bottoms and top-wear for Yoga or exercising. 2 pairs of woolen socks and one pair of normal sock. At least 1 swimsuit and shorts if you are planning to hit the waves at a beach destination. Flips-flops must be packed for daily use inside and outside, both. A light-weight sandal for day to day wear. The volunteer work spans across 5-6 hours per day where you’ll be expected to be on the tip of your toes and active. Moreover, when the day progresses the temperatures shift towards average making it neither too cold nor too hot. So it is suggested always to pack a light pair of sandals or any shoe of your preference which will keep you comfortable throughout the day. A single piece of ankle boot or calf boot to keep your feet warm when going out at nights and during your travels to colder places in India. Canvas shoes or trainers for safe and comfortable airport travel. Band-aids: Neosporin for cuts and abrasions. Because you might decide to go loco and give way to your inner child running about and playing around. Also, as many of you will be working with children as a volunteer, it is also advised to keep antiseptics on your persons. Probiotics for a healthy gut. Aspirin, for you never know when a headache can suddenly pop up. Imodium. For when you’ve had too much of the local Indian food and the stomach is not agreeing with you anymore. For mild cases of diarrhea, Imodium is as good as medicine as they come. But when it’s an acute case of travel diarrhea, it is always advised to get to the nearest healthcare center and get yourself topped off with fluids and prescribed medicines. Electrolytes. It is the perfect thing to treat dehydration and replenish your energy. Travel toilet paper rolls. There isn’t an abundance of public toilets in India and even when you come across one you might face the existential dilemma whether to go or not glancing at the situation inside. But practically speaking there are no other ways for women to go about it like their male counterparts, except when it comes to places away from the crowds and prying eyes. So it is always advised to keep toilet seats covers and paper rolls with you at all times to make your travels smooth and easy. A provision of Ziplock bags. You never know when you might need one. Personal water filter. Although filtered and bottled water’s available very easily in the city. But since you’re volunteering tenure in India is more than just enjoying the amenities of the cities, it is advised to keep a personal water filter like LifeStraw when you are venturing out to explore places away from the city or going out on a road trip in India. Also, you can never be too sure about bottled waters in India barring some brands like Kinley, Bisleri, Aquafina, Himalaya, Bailey, Kingfisher etc. Dust masks. Though it varies from city to city and is relatively lesser during the winters, dust pollution is not something to be taken lightly while traveling in India. If you have dust allergies, asthma or dust caused breathing problems, it is advised to pack in a good dust mask for your trip to India. Indian power adapters are a must for your gadgets if you want to keep them up and running. Last but not the least, a good travel backpack in which you can pack in a day’s essential or things for a one day trek. Opt for a bag with the perfect blend of size quality and comfort. Now that you are up to date about the things that you need to pack in for your trip to India. 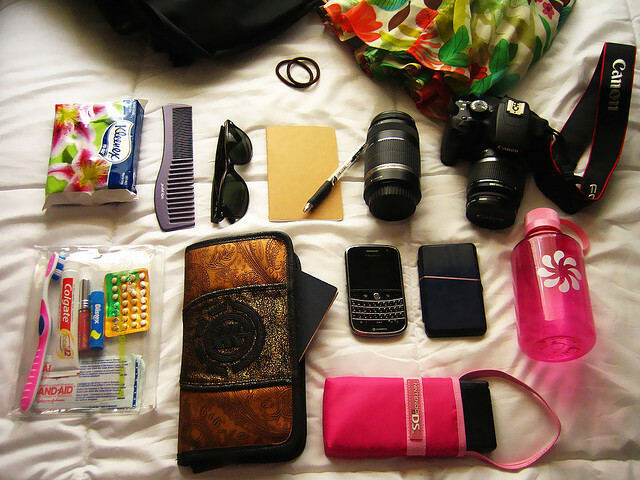 Make your travel itinerary, do your research and pack the essentials as suggested. 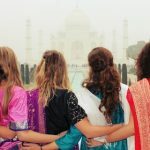 If you haven’t yet registered for a volunteer program in India then make up your resolutions for next year and register for your volunteering program in 2019. For any queries contact [email protected] and don’t forget to follow us on Instagram. 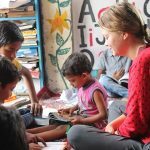 Can Aspiring Peace Corps Volunteers Do Volunteer Work In India?